Nail Art Using a Straw!! 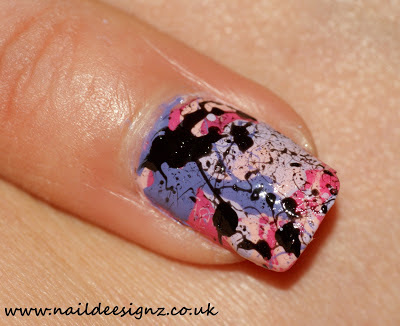 This is the first time I have tried to create the splatter nail art using a straw. I love the end result, however it is difficult to keep the end result consistent. Some nails ended up looking better than others, depending on how much paint came out of the straw. 1. 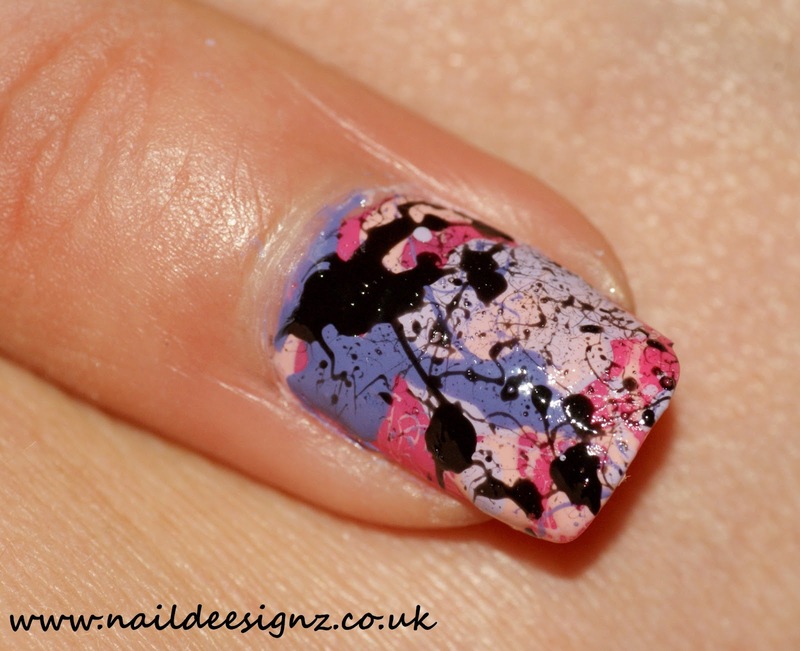 Using any sort of tape, tape around the edges of your nails, especially at the cuticle. This will prevent spending ages cleaning your cuticles and will ensure your design has a neater finish. 2. Paint your nails with any of the four colours you have chosen. 3. Take the lids off of all of your polishes so that they are ready to use. 4. Dip your straw half way into your nail polish bottle and straight away blow sharply into the clean end of the straw over your nail. Do this for all of your nails. #1 - Cover the surface you are working on with a wipe down table cloth, or something you don't mind ruining, as this design makes quite a mess!! #2 - The most important part of this manicure is taping your nails around the edges, because it makes such a mess otherwise. You may well still have to clean slightly, but this just stops you spending hours on it! Please let me know what you think of this design and please post your photos to me on Facebook or Twitter so I can see your blends of colours :) .x.